Anatolian Journal of Psychiatry. 2011; 12(1): 55-61. Turkish Journal of Child and Adolescent Mental Health. 2005; 12(3): 145-145. Turkish Journal of Child and Adolescent Mental Health. 2006; 13(3): 145-145. Turkish Journal of Child and Adolescent Mental Health. 1998; 5(2): 112-114. Ekonomik Yaklasim. 1994; 5(14): 1-11. Gulhane Medical Journal. 2007; 49(4): 236-239. Gulhane Medical Journal. 2004; 46(1): 043-046. Gulhane Medical Journal. 2008; 50(1): 030-033. Gulhane Medical Journal. 2008; 50(2): 098-101. Gulhane Medical Journal. 2008; 50(4): 288-290. Case Study and Case Report. 2019; 9(1): advlabmedint2019-13-advlabmedint2. Gulhane Medical Journal. 2009; 51(2): 105-107. Gulhane Medical Journal. 2012; 54(1): 7-13. Gulhane Medical Journal. 2011; 53(1): 38-42. Medical Archives. 2016; 70(2): 112-115. Journal of Mood Disorders. 2011; 1(1): 19-24. Gulhane Medical Journal. 2003; 45(2): 143-146.
International Surgery Journal. 2016; 3(1): 415-416. How to distinguish: appendicitis or acute abdominal attack of FMF? Gulhane Medical Journal. 2007; 49(1): 058-060.
International Surgery Journal. 2015; 2(1): 118-120. Gulhane Medical Journal. 2007; 49(1): 021-024. Düşünen Adam: The Journal of Psychiatry and Neurological Sciences. 2011; 24(3): 167-174. THE EGYPTIAN JOURNAL OF EXPERIMENTAL BIOLOGY (Botany). 2010; 6(1): 15-19. Anatolian Journal of Psychiatry. 2016; 17(0): 14-16. Gaziantep Medical Journal. 2011; 17(1): 15-19. Klinik Psikofarmakoloji Bulteni-Bulletin of Clinical Psychopharmacology. 2001; 11(2): 101-105. Gaziantep Medical Journal. 2010; 16(3): 37-38.
International Journal of Health Sciences and Research (IJHSR). 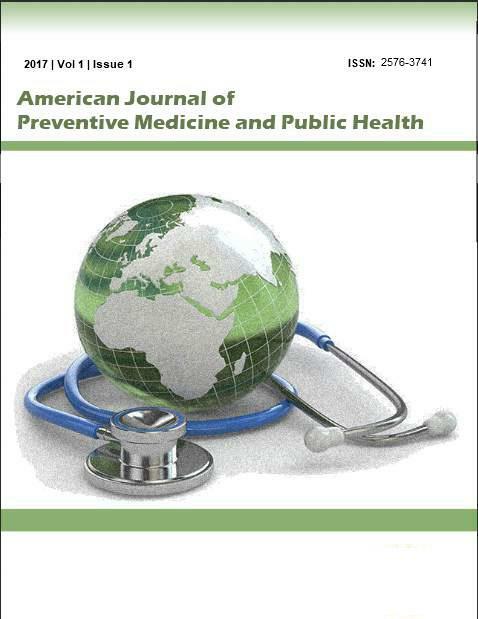 2014; 4(9): 285-287.
International Journal of Health Sciences and Research (IJHSR). 2014; 4(9): 333-336. Balkan Military Medical Review. 2010; 13(1): 1-7. Gulhane Medical Journal. 2012; 54(2): 165-167. Gulhane Medical Journal. 2006; 48(2): 107-108. Gulhane Medical Journal. 2006; 48(4): 239-240. Gulhane Medical Journal. 2011; 53(3): 223-225. Balkan Military Medical Review. 2009; 12(1): 41-45. Medical Journal of Bakirköy. 2014; 10(1): 33-36. Medical Journal of Bakirköy. 2008; 4(1): 8-13. Journal of Cognitive-Behavioral Psychotherapy and Research. 2013; 2(3): 156-161. Medical Bulletin of Sisli Etfal Hospital. 2008; 42(4): 1-4. Gulhane Medical Journal. 2006; 48(2): 115-116. Annals of Medical Research. 2018; 25(4): 594-7. Journal of Turgut Ozal Medical Center . 2017; 24(4): 497-499. Medical Archives. 2017; 71(4): 293-295. Journal of Turgut Ozal Medical Center . 2017; 24(3): 258-260. Gulhane Medical Journal. 2005; 47(4): 260-264. Gulhane Medical Journal. 2008; 50(1): 050-052. Annals of Medical Research. 2018; 25(4): 569-74. Journal-Cardiovascular Surgery. 2015; 3(4): 79-84. Annals of Medical Research. 2018; 25(4): 640-2. Gulhane Medical Journal. 2006; 48(2): 083-086. Journal-Cardiovascular Surgery. 2015; 3(4): 87-87. Journal-Cardiovascular Surgery. 2014; 2(3): 50-50. E Journal of Cardiovascular Medicine. 2017; 5(4): 67-74. Medicine Science | International Medical Journal. 2018; 7(3): 656-9. Gulhane Medical Journal. 2008; 50(2): 131-133. Gulhane Medical Journal. 2010; 52(4): 283-286. Journal-Cardiovascular Surgery. 2015; 3(3): 54-60. Gaziantep Medical Journal. 2012; 18(2): 81-84. Gulhane Medical Journal. 2006; 48(1): 022-024. Gaziantep Medical Journal. 2014; 20(2): 141-146. Emirates Journal of Food and Agriculture. 2016; 28(4): 235-241. Annals of Medical Research. 2019; 26(1): 51-5. Journal of Contemporary Medicine. 2012; 2(2): 118-121. TAF Preventive Medicine Bulletin. 2010; 9(4): 303-308. Medicine Science | International Medical Journal. 2013; 2(2): 624-7. Annals of Medical Research. 2019; 26(4): 593-5. Düşünen Adam: The Journal of Psychiatry and Neurological Sciences. 2014; 27(4): 308-315. Journal-Cardiovascular Surgery. 2015; 3(4): 86-86. Journal of Turgut Ozal Medical Center . 2016; 23(2): 202-204. Journal of Mood Disorders. 2016; 6(3): 124-32. Gaziantep Medical Journal. 2013; 19(2): 81-85. Journal-Cardiovascular Surgery. 2015; 3(3): 66-66. TAF Preventive Medicine Bulletin. 2009; 8(3): 231-238. Medical Journal of Bakirköy. 2015; 11(1): 17-23. Gaziantep Medical Journal. 2013; 19(3): 180-184. Archives of Clinical and Experimental Surgery (ACES). 2013; 2(3): 197-199. Annals of Medical Research. 2019; 26(3): 464-7. Medicine Science | International Medical Journal. 2019; 8(1): 63-6. Cukurova Medical Journal. 2014; 39(3): 658-661. Ekonomik Yaklasim. 2005; 16(55): 31-42. Health Care Academician Journal. 2017; 4(2): 110-114. Ekonomik Yaklasim. 1980; 1(2): 148-165. Ekonomik Yaklasim. 2011; 22(78): 119-136. Medical Bulletin of Sisli Etfal Hospital. 2016; 50(4): 256-72. Ekonomik Yaklasim. 2001; 12(41): 39-50. Ekonomik Yaklasim. 1980; 1(1): 141-152. Ekonomik Yaklasim. 1981; 2(4): 211-226. Ekonomik Yaklasim. 1995; 6(18): 89-99. Journal of Cognitive-Behavioral Psychotherapy and Research. 2012; 1(2): 70-76. Ekonomik Yaklasim. 1996; 7(20): 95-98. Ekonomik Yaklasim. 2000; 11(39): 23-35. Journal of Cognitive-Behavioral Psychotherapy and Research. 2015; 4(3): 184-185. Klinik Psikofarmakoloji Bulteni-Bulletin of Clinical Psychopharmacology. 2012; 22(2): 177-183. Sleep and Hypnosis: A Journal of Clinical Neuroscience and Psychopathology. 2016; 18(1): 1-1. Düşünen Adam: The Journal of Psychiatry and Neurological Sciences. 2008; 21(1): 45-58. TAF Preventive Medicine Bulletin. 2011; 10(3): 343-350. Medical Archives. 2016; 70(2): 123-126. Journal of Cognitive-Behavioral Psychotherapy and Research. 2012; 1(3): 145-151. Klinik Psikofarmakoloji Bulteni-Bulletin of Clinical Psychopharmacology. 1999; 9(4): 173-180. Klinik Psikofarmakoloji Bulteni-Bulletin of Clinical Psychopharmacology. 2010; 20(2): 176-178.